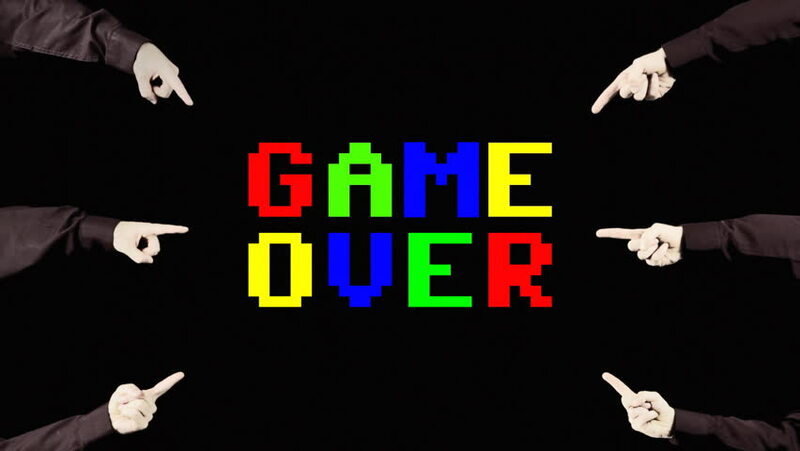 Many hands pointing at a simple plain Game Over screen, with rotating carousel colors (red, green, blue, yellow). hd00:13Many hands pointing at a green flashing warning message text, Applause. hd00:08Many hands pointing at a static green message text, Good choice. hd00:12Many hands pointing at the text Epic fail, with distortions and glitches, appearing over a black background. hd00:07Hands moving in front of green screen.